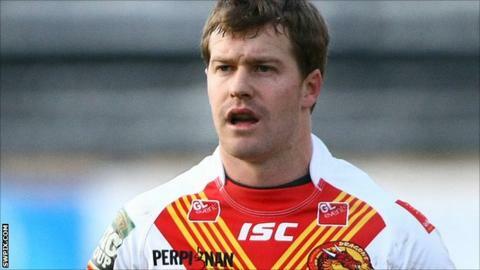 Catalans Dragons head coach Laurent Frayssinous is confident his squad can cope with the absence of influential scrum-half Scott Dureau. "We have a lot of depth in the squad," Frayssinous told BBC Sport. "Even though it is a big loss that we lost Scott, we still have William Bartheau and Thomas Bosc." He added: "It's a luxury that not all squads have in Super League, so we're lucky." The former Newcastle Knights half-back was the Albert Goldthorpe Medal winner last season, and has scored 518 points in 54 Super League matches for the Catalans. Meanwhile Frayssinous says he is confident for the Catalans' hopes of repeating last season's top-four finish. The Perpignan club improved on the previous season's top-six placing with 18 wins from 27 regular season matches. "The fans expect it, and I expect it," Frayssinous continued. "I've chatted with the players, we can't say having finished fourth last season that we would be happy to finish top six, or top eight. "We don't want that, we don't talk about the results week in week out, we talk about performance, and with the quality in our squad we will perform in the big games."